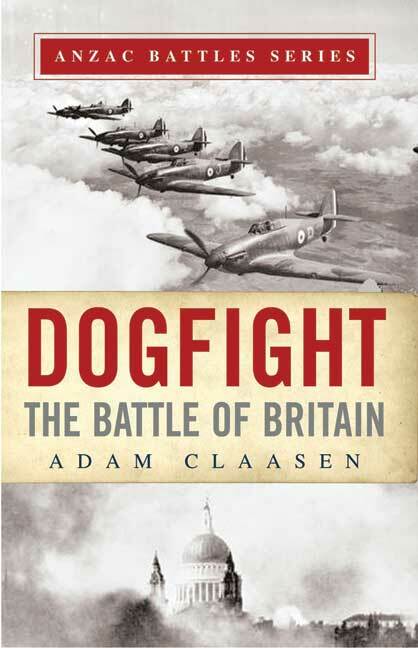 You'll be £12.99 closer to your next £10.00 credit when you purchase Dogfight: The Battle of Britain. What's this? memorable campaigns. From 9 July until 31 October 1940, the German air force (the Luftwaffe) sought aerial supremacy in skies over England as a prerequisite for an invasion of Britain (Operation Sealion). The ensuing conflict of Luftwaffe and RAF aircraft in the long summer of 1940 became forever known as the Battle of Britain. the Polish contribution. The Australian involvement, though smaller, was a healthy 37. Thus a fifth of overseas pilots were Anzacs. Among these colonials were some of the Battle of Britain's widely admired aces. Of the top ten pilots with the greatest number of victories two were New Zealanders (C. F. Gray and B. Carbury) and one an Australian (P. Hughes). Australian and New Zealand aircrew were also employed in attacking enemy Channel ports and airfields as part of Bomber and Coastal Command's attempts to thwart invasion preparations and blunt the Luftwaffe aerial onslaught. The Anzacs also had a fellow compatriot at the highest level in the Fighter Command system: the highly regarded New Zealander Air Marshal Sir Keith Park, who was instrumental in devising and implementing the integrated air defence of Britain around Spitfire and Hurricane aircraft, radio control and radar. In the spring of 1940, he was given the command of Group 11, which would face the brunt of the German aggression in south-east England. The success of Park's plans and operational initiatives, and the role played by Anzac pilots and aircrew, would all contribute to the conflict's eventual successful outcome. This book will obviously appeal to an Australian and New Zealand audience, but I also found it to be of more general appeal, providing a look at an interesting cross-section of Fighter Command's pilots, as well as the way in which the Anzacs integrated into both the wartime RAF and Britain. Dr Adam Claasen is a lecturer in the School of Social and Cultural Studies, Massey University, Auckland, and author of Hitler’s Northern War.